Purrcast Episode 18 starring Wilma. 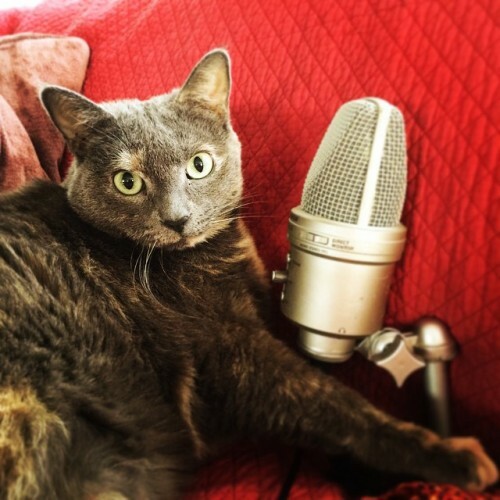 Purrcast made our first Patreon Milestone goal of $15 per Podcast! The aim of the goal was to donate 1/3 of the money raised after basic production costs are met. To celebrate reaching this goal so quickly we are donating all the January pledges to Underground Railroad Rescued Kitty Network. URRKN coordinates and recruits for individual relay transportation for rescued kitties from the foster homes to their forever homes. Our first Patreon and URRKN driver Ed Rosen chose to donate with out any reward and we wanted to thank him and the good work of URRKN. Posie, Flissy, Val and Nora we have something very special coming up for you as a thank you for your patronage. 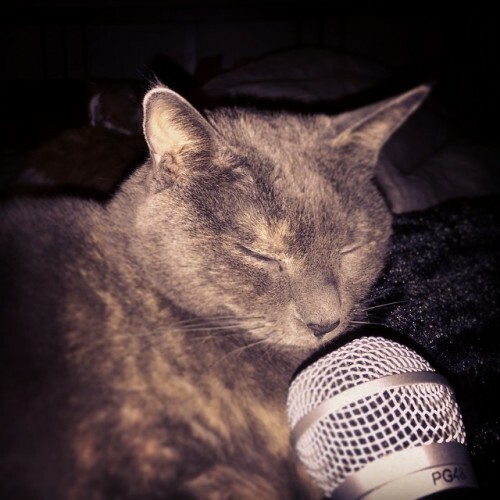 You dear listener can always support the podcast at https://www.patreon.com/purrcast. On the site is special content including a 42 minute all purring track and the opportunity to get a Tie-Fighter, the best cheep cat toy ever. We are on Twitter and Instagram with the hashtag #purrcast. Please say hi and share with your friends! Purrcast Episode 16 featuring Wilma. Wilma has the nickname of Wee-Ma even though she is neither. If you enjoy Purrcast and want to help you can donate to us through http://patreon.com/purrcast. Patreon is a system where you can pledge a per episode donation and access special featured content. Right now on Patreon the featured bonus content is the all purring Purrcast Mega-Mix Vol 1. Over 40 minutes of uninterrupted purring as a thank you for supporting Purrcast.